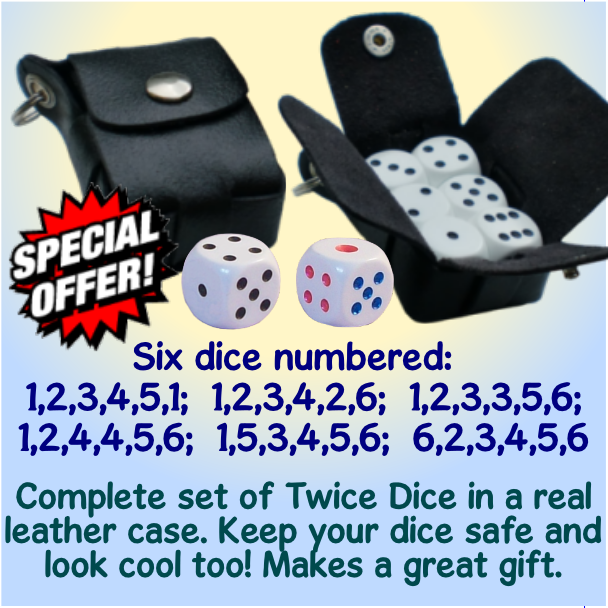 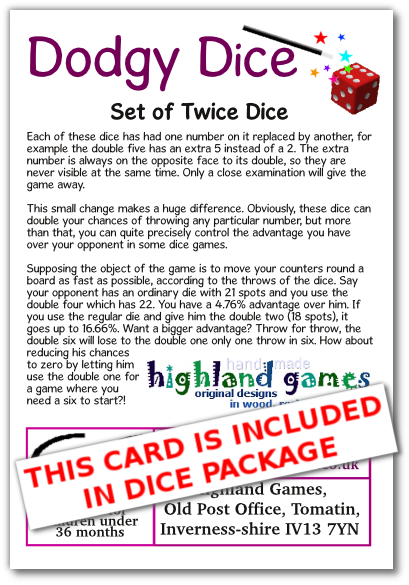 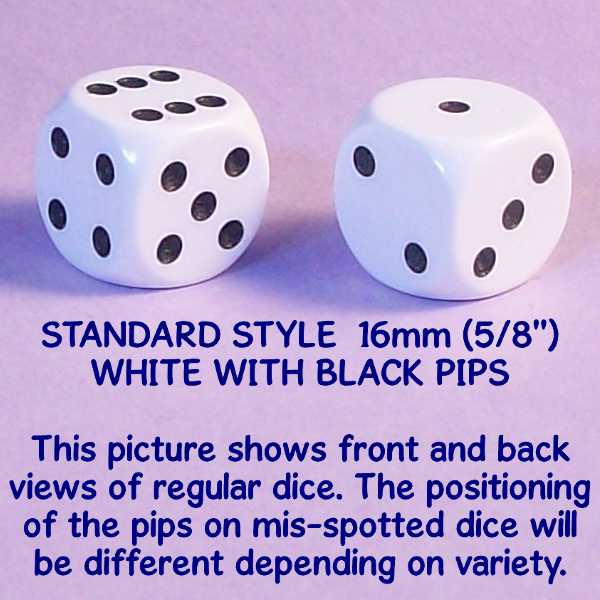 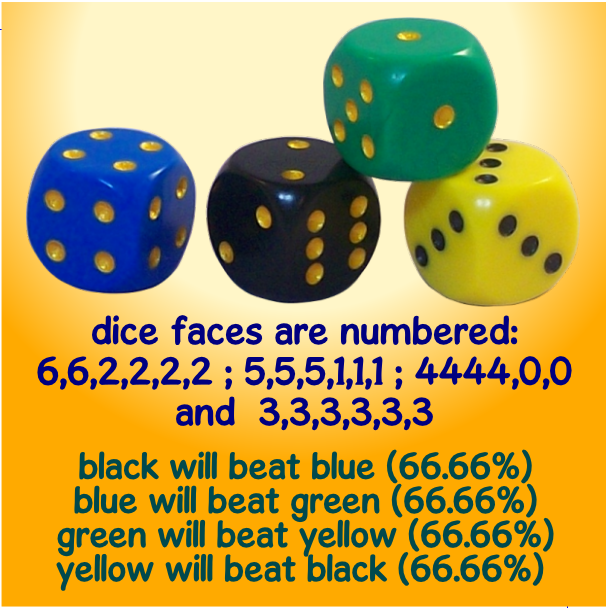 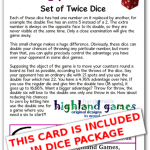 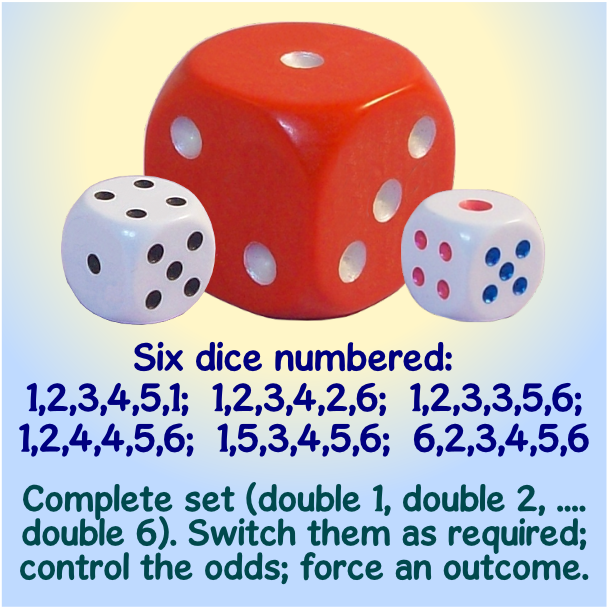 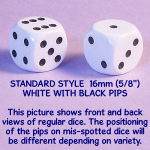 This is a complete set of six Twice Dice (double 1, double 2, …. 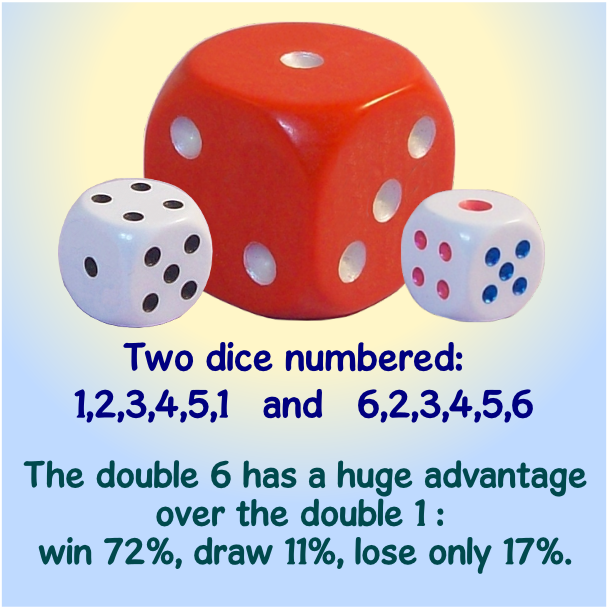 double 6). 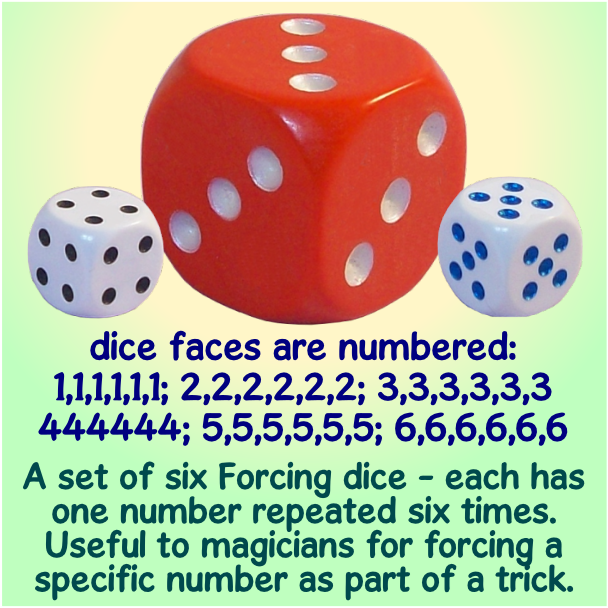 One number has been replaced by another. 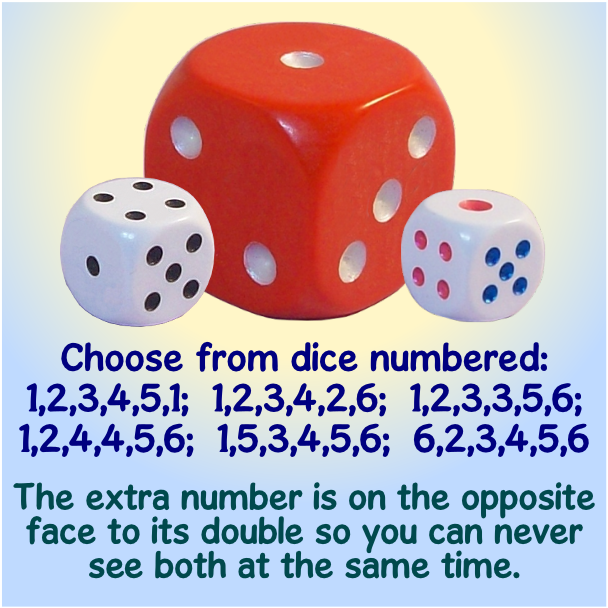 For example the Double Four has an extra 4 instead of a 3, and the Double Five has an extra 5 instead of a 2. 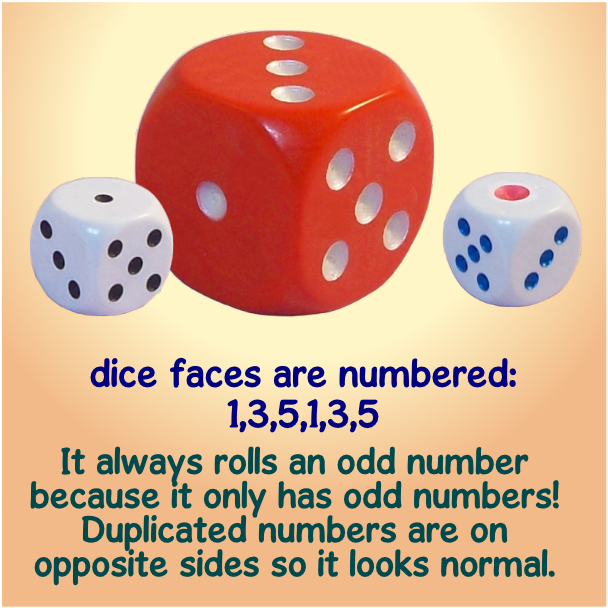 The extra number is on the opposite face to its double, so they are never visible at the same time. 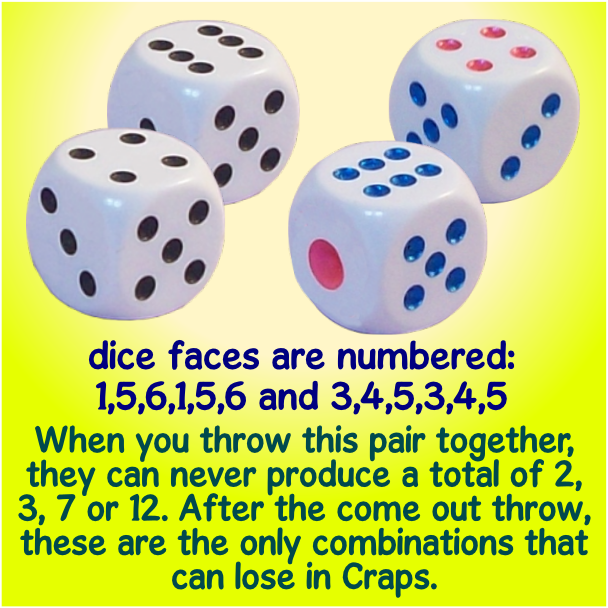 Only a close examination will give the game away.